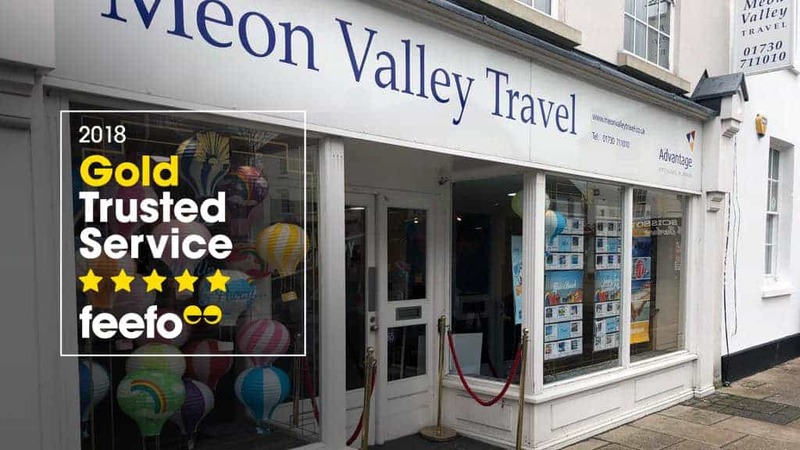 Meon Valley Travel has won the Feefo Gold Service award, an independent seal of excellence that recognises businesses for delivering exceptional experiences, as rated by our customers. The award’s criteria means that at least 50 online reviews were collected, with a service rating of between 4.5 and 5. Since we started working with Feefo, 152 customers have left a review, with an incredible average rating of 4.8/5. Created by Feefo, Trusted Service is awarded only to those businesses that use Feefo to collect genuine ratings and reviews. The badge of honour remains unique, as it is based purely on the interactions with verified customers. As all reviews are verified as genuine, the accreditation is a true reflection of our business’ commitment to outstanding service. We like to thank all our gorgeous customers for the tremendous reviews they have given us over the past year. If you are a travel consultant looking for a new challenge and want to work for an award winning travel agent, please contact us today.